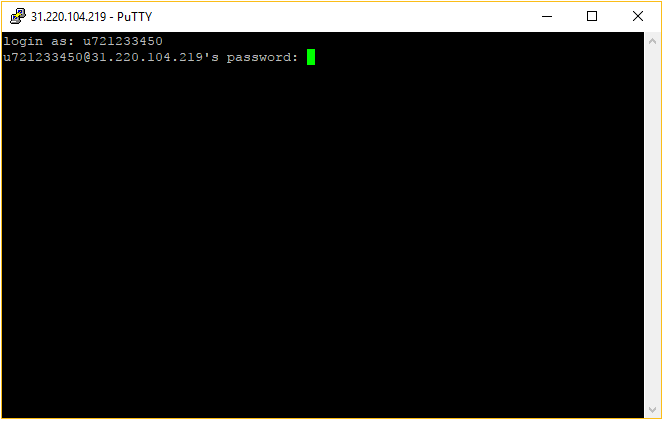 In this guide, you will learn how to use PuTTY SSH terminal to connect to your hosting account or a VPS server. This software will allow you to connect to your server remotely via SSH terminal and execute various commands via the command line. You can download the latest version of Putty SSH client here. After that, install it on your computer and proceed to the next step. Once the Putty client is installed on your system, you will need to locate the details required to make your SSH connection. If you have a shared web hosting account, the SSH connection details can be found in your control panel’s SSH Access section under the Advanced category. 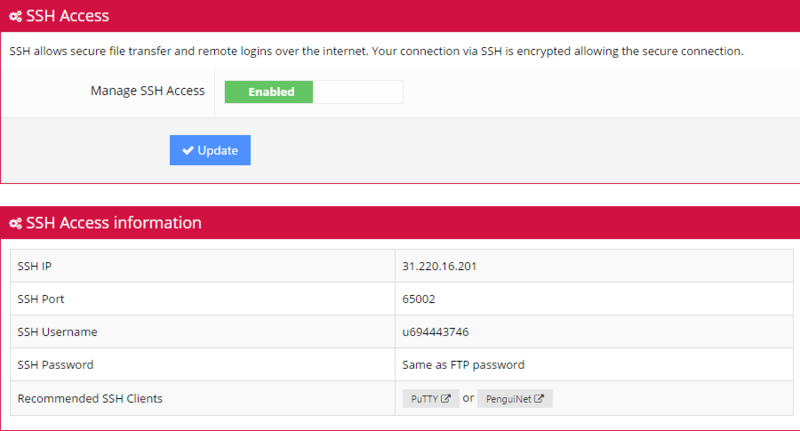 There, you will see all the required details, such as SSH IP, SSH Port, and SSH Username with SSH Password. The password used for the SSH connection is the same as FTP. In case you forgot or do not know it, you can reset it using your control panel’s FTP Access section. Lastly, in case the SSH access is set to Disabled, turn it on and press Update and a confirmation screen will appear. 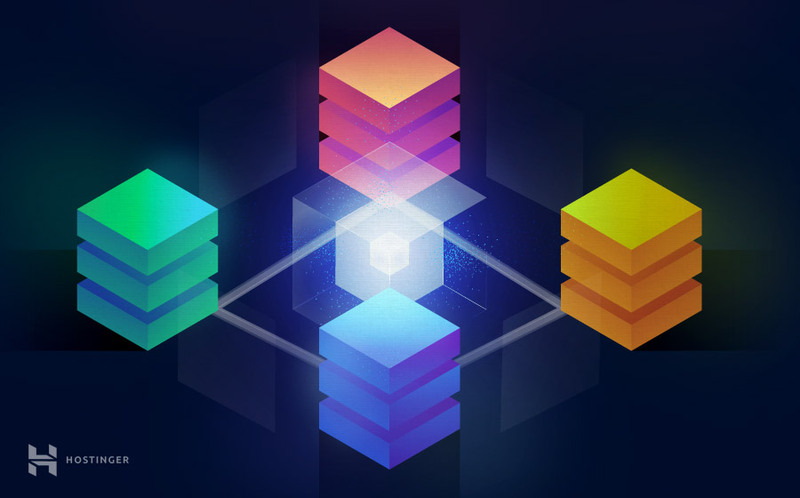 In order to connect to a Virtual Private Server (VPS), you may locate all the required details in the Servers section at the top of your control panel. Select your VPS from the drop-down list to open its information. In case you do not know the root password of your VPS, it can be reset via the Root Password section below. Now that we have gathered all the required details to make a connection, open up your PuTTY SSH client. Firstly, you will need to enter your hostname/server IP and port. Then, press the Open button to proceed. A login as: message will pop-up, where you will need to enter your SSH username. For VPS users, this is usually root. However, on shared hosting, this value is different. In this example, we will use u721233450. After entering your username simply press the Enter button on your keyboard. Then, you’ll need to enter your SSH password and press Enter again. Keep in mind that no letters will appear on your screen during this stage. Congratulations! You have successfully connected to your account using PuTTY SSH client. On a shared hosting account, you may find the list of available SSH commands by executing help via terminal.